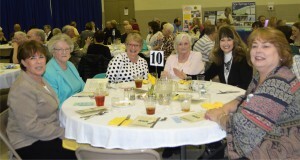 Congregants from West Alexander Presbyterian Church enjoy each other’s company during Washington Presbytery’s Celebration Dinner. In mid-April, Washington Presbytery members gathered for an evening of presbytery celebration under the theme “Stronger Together.” Buzzing with laughter and conversation, the guests – more than 200 – filled the spacious Christian Life Center at Thomas Presbyterian Church in Eighty Four, PA, to enjoy marvelous fellowship, music and singing, and a relaxing, catered buffet dinner. Old friends were reunited and re-acquainted, and several new friendships began. Rev. Curtis Paul of Newlonsburg Presbyterian Church shares a testimony during the presbytery’s Celebration Dinner. Testimonies filled the program, delivered in respective categories from the presbytery’s mission statement. Rev. Curtis Paul, a “son” of Washington Presbytery and now a pastor in the nearby Presbytery of Redstone, told of his growing-up years in Sunday School, his nurture under the shepherding of local and regional presbyters, and his growth in leadership. Ruling Elder John Tilley, a longtime leader at Faith United Presbyterian Church, told of his congregation’s challenges when an old, downtown building was proving too costly to repair. Moving their church to a new location and a new building became necessary and prudent. Having taken up that challenge in the recent past, Faith Church today thrives with fresh leadership and renewed energies. Unity and energy were the aims, and the Celebration Dinner Planning Committee believes those goals were met and surpassed in the course of a truly enjoyable evening together, according to one Planning Committee member. 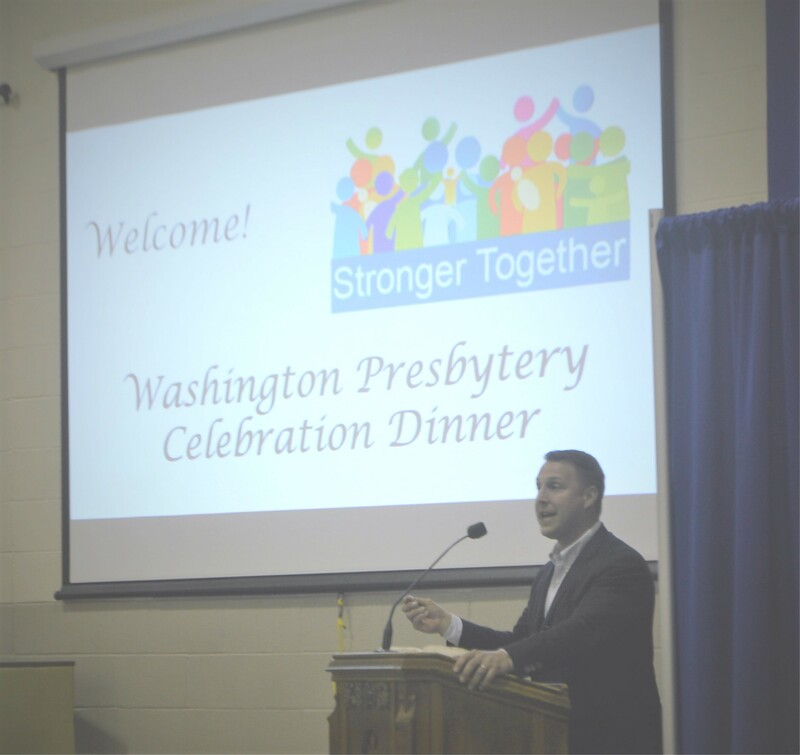 An array of donated silent auction items and a gift baskets raffle netted approximately $11,000 to strengthen Washington Presbytery’s mission commitments, since leaders from across the presbytery covered all costs associated with the dinner. 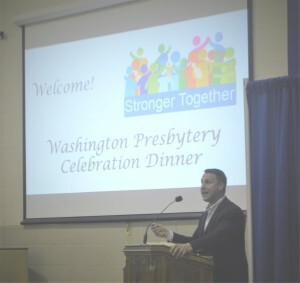 More than 200 guests filled the Christian Life Center at Thomas Presbyterian Church in Eighty Four, PA, for Washington Presbytery’s Celebration Dinner.